During a routine service for a Landlord Safety Certificate in Neyland this was revealed after the open flued fire was removed to inspect the catchment space. 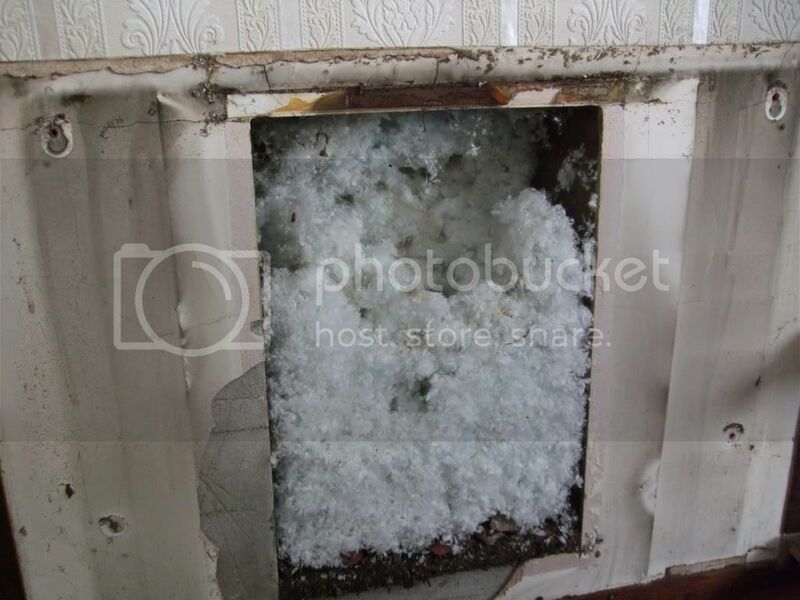 Cavity wall insulation had been blown into the chimney, completely blocking the evacuation route for products of combustion from the fire. The appliance was isolated, made safe and a warning notice issued. This is a burner from a modern high efficiency condensing boiler in Saundersfoot. I was called out with the customer saying the boiler was making a "banging nise". After going through a series of standard checks it came to the stage when the burner had to be removed and inspected. Sure enough, there was the fault, a significant hole in the burner next to the ignition electrodes. This was allowing a disproportionate amount of gas through during the ignition phase causing explosive conditions. 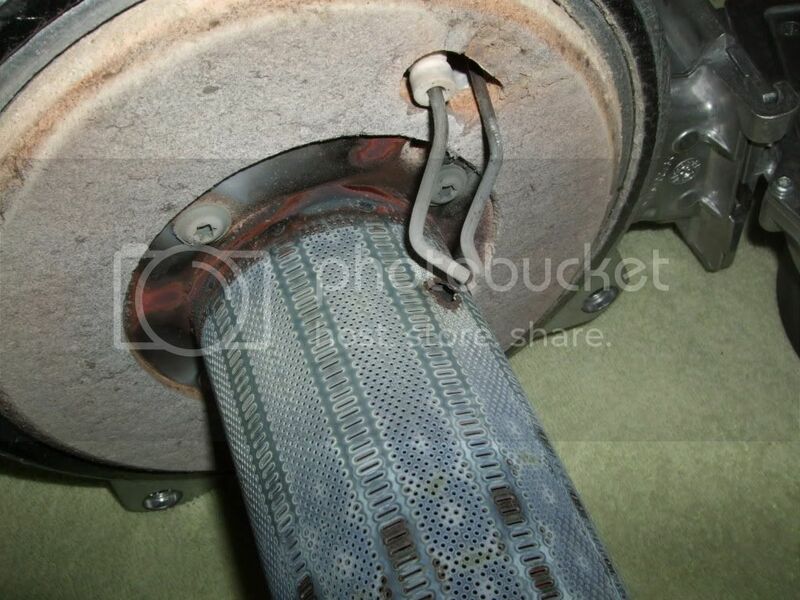 With a new burner promptly fitted and the electrode gap adjusted the boiler was returned to safe, quiet functioning. During a routine service on a balanced flue fire in Johnston I noticed that the flame "picture" was unstable and lifting away from the burner. This "rang the safety alarm bells"! Although it is not usual to remove a balanced flue fire during a routine inspection I decided to do just that, suspecting a fault with the flue. 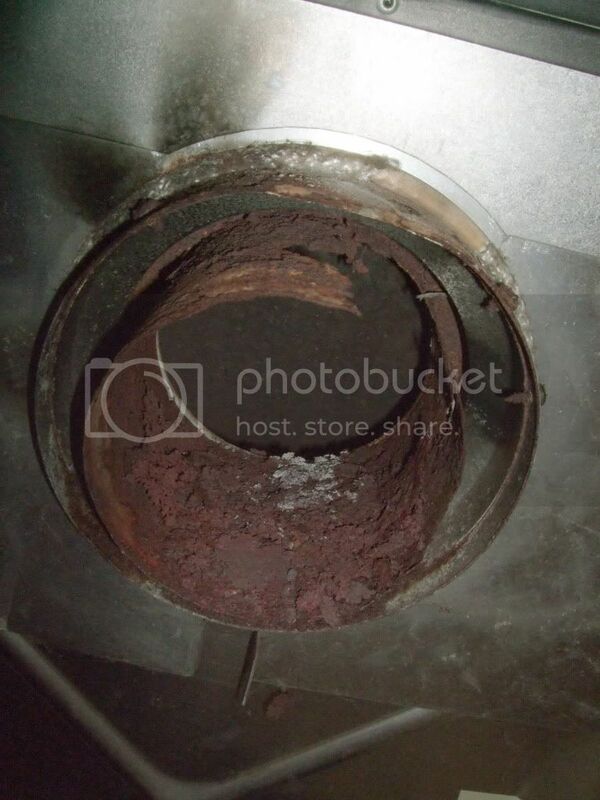 This is a picture of the rear of the fire showing the central exhaust section of the flue spigot completely corroded and disintigrating. The products of combustion were being pulled back into the fire and a substantial volume must have been escaping into the room and wall cavity. Called out to a faulty combi boiler in Milford Haven which was presenting variable and intermittent problems. This can be a real headache to diagnose. 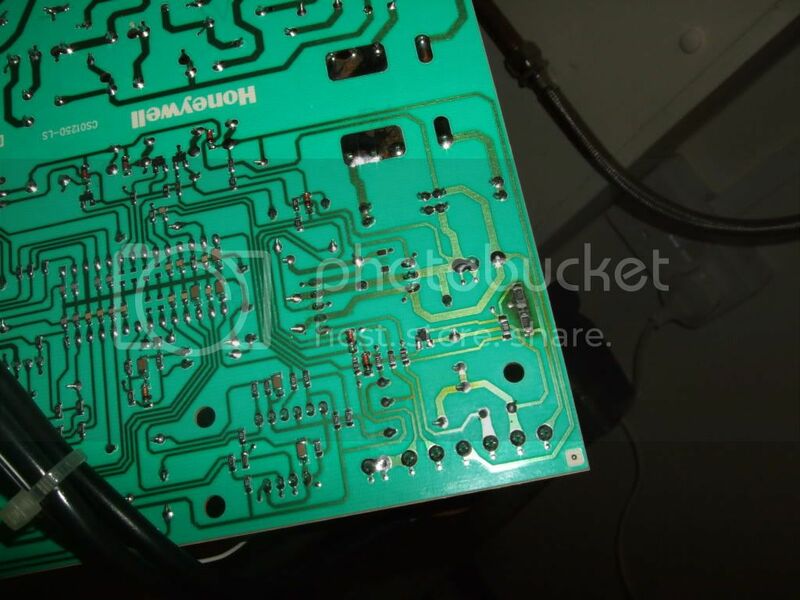 I found that the control printed circuit board had a small damaged section on the lower right side, hardly visible, but confirming this component to be the culprit. A new board was quickly acquired, fitted and the boiler purred back into operation! The gas pressures were checked and the customers house warmed back up into a home again.